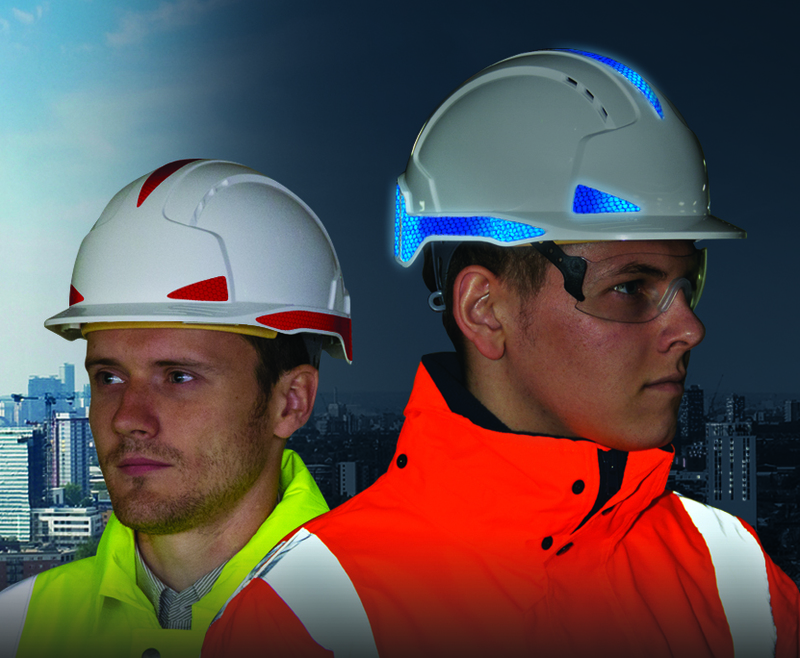 JSP has made its multi-coloured, CR2 reflective material available on its EVO3 industrial safety helmet. The EVO3 offers a choice of different coloured highly-reflective strips for all-round visibility. JSP’s CR2 technology uses the same high-intensity reflective material as is used on motorway signs, in a range of colours. The reflective strips on the sides, back, front and top of the helmet give 360-degree reflective coverage and enable it to be easily spotted in the dark or in low-level lighting. The reflective colours on the EVO3 can also be used to boost corporate identity, since they can be matched to a company logo. Bespoke transfers can be printed onto the helmets if required, and the system allows the standardisation of helmet colour. The EVO3 with CR2 technology is suitable for use in environments where there is a risk of objects falling and where workers must be seen by operators of heavy equipment.